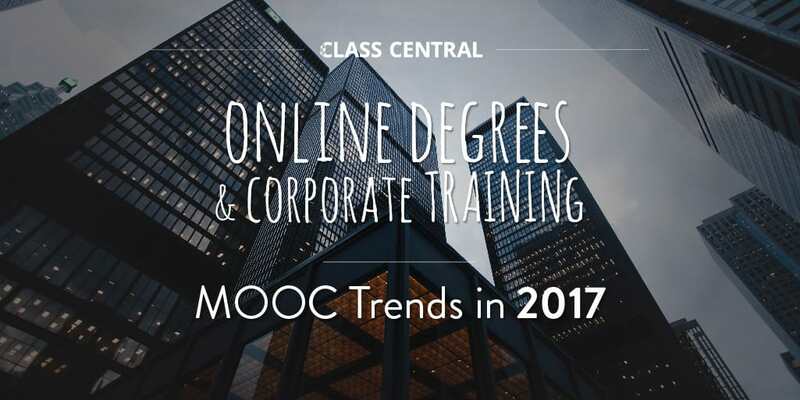 Like the other trends Class Central has highlighted in its 2017 analysis, the MOOC platforms’ entry into the markets for online degrees and corporate learning isn’t a new trend. However, there have been a few new developments and even a few milestones that have been achieved. Online degrees and corporate training are existing markets worth billions of dollars, and MOOC providers want a slice of that. In fact, this might even be a bigger monetization opportunity than the direct-to-consumer (B2C) market that the MOOC providers started out in. 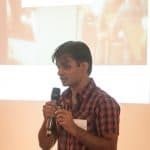 It’s been six years since the first online courses that kicked off the MOOC movement went live. 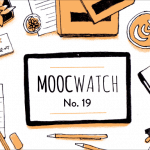 MOOC providers have found some semblance of product-to-market fit in the B2C market. We (Class Central) estimate that Coursera might be within striking distance of $100M in revenue from its B2C product, while Udacity has over 50,000 students (paying) enrolled in its Nanodegrees. Now, MOOC providers are leveraging their partnerships with universities and their millions of students to break into the lucrative market of online degrees and corporate learning. MOOC providers have an advantage over traditional OPM providers and online degree programs, their free online courses act as a highly effective marketing channel to attract millions of new learners to their platforms. EdX started out the year by announcing an Online Masters of Science in Analytics (OMS Analytics) degree, in partnership with Georgia Tech. This is the first degree launched by edX and the second one by Georgia Tech. Four years later the OMSCS degree has around 6,000 students enrolled and has graduated hundreds of students. Another degree program offered by Georgia Tech and Udacity, the OMS Analytics degree, costs less than $10,000. The first cohort started in fall 2017 with 250 students. Another 400+ learners will start the program in spring 2018, taking the number of total registered students to an impressive 650. The Master of Business Administration (iMBA) from the University of Illinois was Coursera’s first-degree program. It currently has around 800 students enrolled and costs around $22,000 per student. The iMBA recently graduated its first cohort of 69 students. Those learners who don’t want to commit to an entire MBA can pay for a single course or course series (Specialization) and earn a certificate without enrolling in the iMBA. Forty-nine thousand certificates have been issued so far. Students can also earn college credit without enrolling in the degree program for around $250 per credit hour. At any given time, around 150 non-degree students are taking iMBA courses for credit. A simple back-of-the-envelope calculation tells us that the potential revenue to be earned from these three degree programs is greater than $65 million, based on the current number of enrolled students. Coursera also earns additional revenue from the certificate and non-degree credit students in the iMBA. In the case of the iMBA, this amounts to several million dollars in revenue. These revenue numbers show how lucrative the online degree market can be for MOOC providers. It’s no mystery why they are excited to get into this space. In 2017, Coursera announced two more online Masters degrees, taking their total to four. They also announced their intention to launch 15–20 online degrees by 2019. 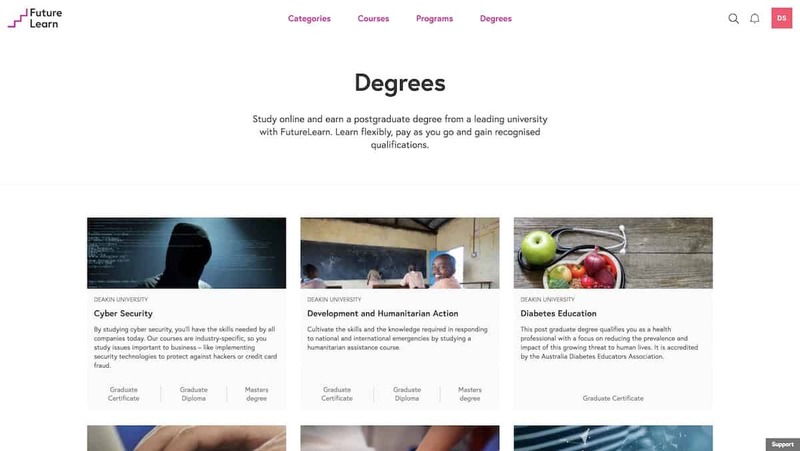 Also in 2017, FutureLearn announced that it has signed an agreement with Coventry University to roll out 50 online graduate degrees over the next year. The first degree to come out of this partnership will be a Nursing degree, which will go live in the first quarter of 2018. These new degree programs come in addition to seven degree programs currently offered by Deakin University, all of which went live in March 2017. XuetangX, a Chinese MOOC provider with over nine million students, announced three online Master’s degrees with Zhengzhou University. One unique aspect of XuetangX’s Master’s degrees is that they’ll include courses from seven different medical schools in mainland China, such as Peking Medical School and Xiehe University. The companies that help educational institutions put their degrees online are known as online program management (OPM) providers. 2U is one such company with revenues north of $200M. One of the biggest expenses involved with putting a degree program online is attracting potential students. As EdSurge’s Jeff Young notes, 2U spent a whopping $45.4 million in sales and marketing in 2012. At one point, the online degree provider the University of Phoenix was the single biggest spender of Google’s ads, spending nearly $400,000 each day. This is where MOOC providers have an advantage over traditional OPM providers and online degree programs. Their free online courses act as a highly effective marketing channel to attract millions of new learners to their platforms. In Coursera co-founder Daphne Koller’s words, “We reached 20 million learners with minimal marketing costs, largely because of the PR cycle around us.” This marketing strategy can potentially cut down the cost of acquiring degree students. In the degree market, the revenue from a single learner is usually in the low tens of thousands of dollars. In the corporate training space, a single corporate contract can range from the low thousands of dollars to millions of dollars for a multi-year contract, depending on the number of the employees at a company. The corporate learning space is already crowded with well-established competitors, such as SkillSoft, Lynda.com, Pluralsight, and others. These companies generally provide course content. 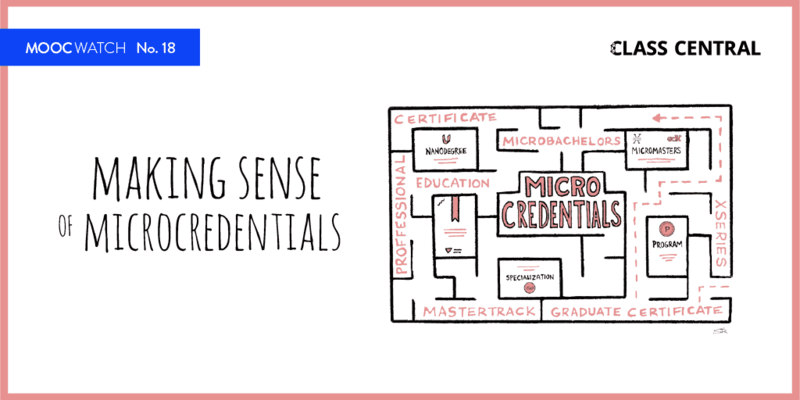 Thanks to their partnerships with universities, in addition to course content, MOOC providers can also provide highly valued university-backed certification. MOOCs for corporate training are very similar to the courses individuals can access. The corporate version might contain additional features like analytics, progress tracking (for employers), and private team/community features, but the main feature is really the content, which employers are bulk buying for their employees. In the case of Coursera, it costs $400 per employee for access to the entire catalog. Coursera ended 2017 with more than 500 companies signed up for the service, up from 30 last year. 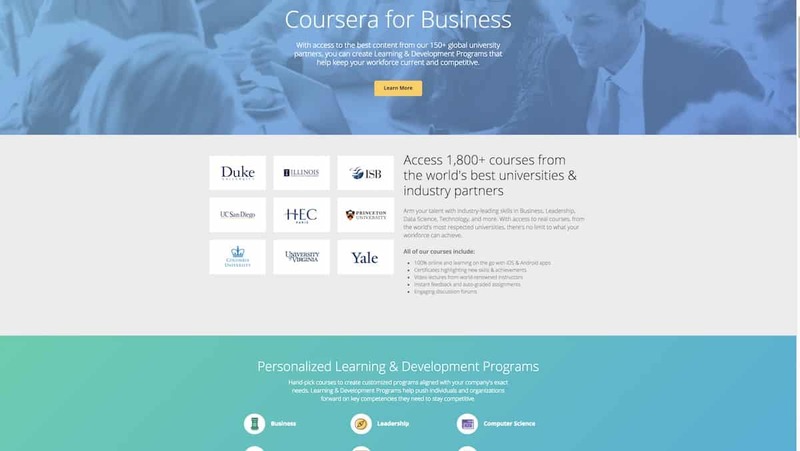 More details about Coursera for Business can be found in Class Central’s 2017 year in review for Coursera. EdX also has an edX for Business and is now working with 40 companies in different capacities. Read more here: EdX’s 2017: Year in Review. 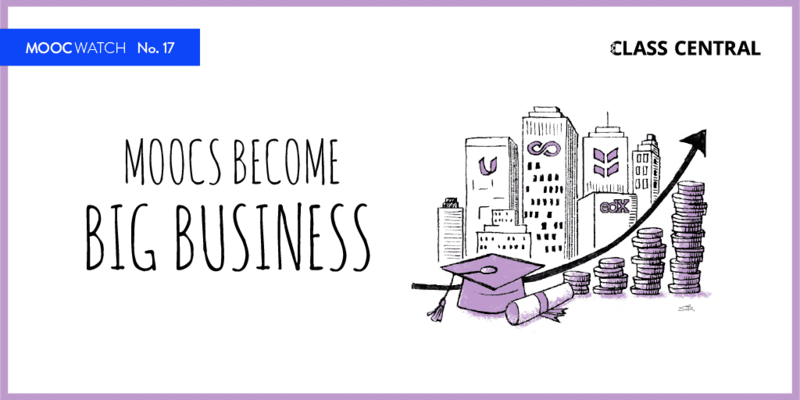 Udacity engages with corporations in a few different ways (including corporate training). Read more here: Udacity’s 2017: Year in Review (will be published soon). France Digital University (France Université Numérique, or “FUN”), the official MOOC platform of France, has launched FUN Corporate. FUN’s government funding is set to expire next year, and it has launched FUN corporate in the hopes of achieving self-sustainability. In 2018, Class Central expects to see all the major MOOC platforms (as well as some regional providers) invest major resources into cracking the markets for online degrees and corporate learning. After all, that’s where the real money is.